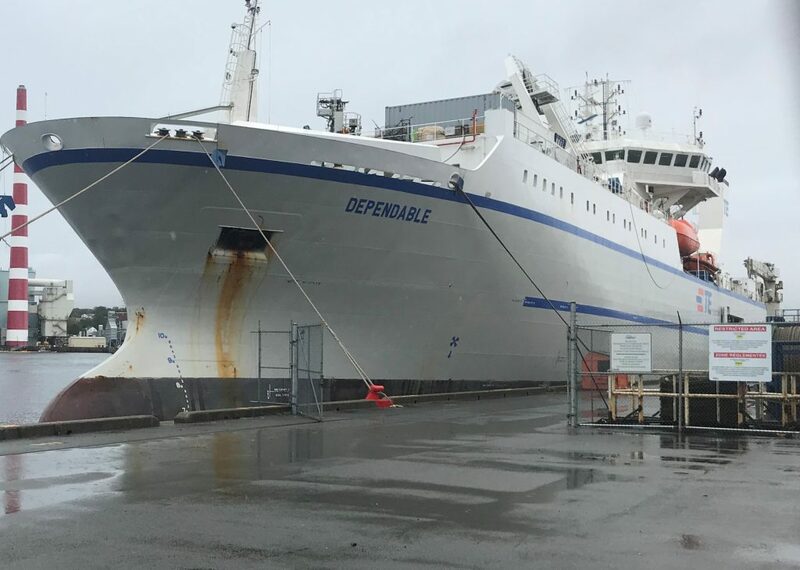 The cable ship Dependable put into port earlier this week and was due to sail this morning, but that seems to be delayed. based in Baltimore, she is on standby to service undersea cables in the North Atlantic. UPDATE. She loaded 120km of cable, and is bound for Bermuda to complete a repair. I was told after that, shes going to lay a 7400km cable – the cable itself will take almost a month to load at the port of Baltimore. This entry was posted in cable on September 27, 2018 by Peter.